Switzerland is sometimes referred to as the Water Tower of Europe due to its vast water supplies – and much of its drinking water is stored in underground reservoirs. These are striking, cavernous spaces. Swiss photographer Silvio Maraini catches them on film in the short intervals when they’re drained for cleaning. 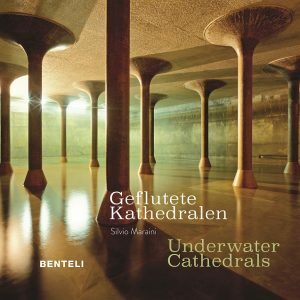 His book “Underwater Cathedrals” shows them off best – and we met up with him.